Concerning the new Facebook policies/guidelines... copy and paste the text below and post it on your Facebook page. Today, [insert today's date here ] in response to the Facebook guidelines and under articles L.111, 112 and 113 of the code of intellectual property, I declare that my rights are attached to all my personal data, drawings, paintings, photos, texts etc... published on my profile. For commercial use of the foregoing my written consent is required at all times. Those reading this text can copy it and paste it on their Facebook wall. This will allow them to place themselves under the protection of copyright. By this release, I tell Facebook that it is strictly forbidden to disclose, copy, distribute, broadcast, or to take any other action against me on the basis of this profile and/or its contents. The actions mentioned above apply equally to employees, students, agents and/or other staff under the direction of Facebook. The contents of my profile includes private information. The violation of my privacy is punished by the law (UCC 1 1-308 - 308 1 - 103 and the Rome Statute). Facebook is now an open capital entity. All members are invited to post a notice of this kind, or if you prefer, you can copy and paste this version. If you have not published this statement at least once, you will tacitly allow the use of elements such as your photos as well as the information contained in your profile. Black Friday is just around the corner, but parents are being urged to take care when buying toys this year. Several being sold in Albany County contain toxic chemicals that pose health risks to children, according a new survey. Researchers found a dozen toys on store shelves containing lead, mercury, arsenic, cadmium and more – toxic chemicals that have been linked to cancers, cognitive impairments and hyperactivity. The report entitled “Toxic Toys in Albany County” was presented in downtown Albany November 17th by Clean and Healthy New York and the New York League of Conservation Voters Education Fund. You can hear my radio report and read a transcript HERE. Governor Andrew M. Cuomo today advised the public of several popular toys available for purchase this holiday season that could pose a risk to children. 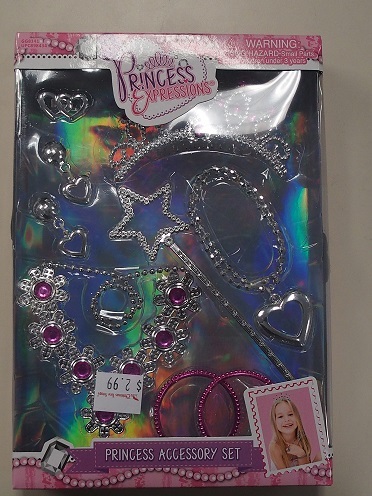 Testing commissioned by the New York State Division of Consumer Protection has found that the “Disney Frozen Musical Watch” and the “Princess Expressions Accessory Kit” contain lead exceeding federal standards in children’s products. The Division of Consumer Protection has also found that several cars in the “Tough Treadz Auto Carrier” toy have sharp edges that can pose a laceration hazard to young children. Individuals with any of these products should set them aside, in a safe area away from children, to await future manufacturer instructions. The Division of Consumer Protection has provided the Consumer Product Safety Commission with laboratory results exhibiting the hazards of the following toys and called for a national recall of these products. The Division of Consumer Protection is working with manufacturers, distributors and retailers to ensure the toys are removed from sales circulation. The federal standard for lead in children’s toys is 100 parts per million (ppm). 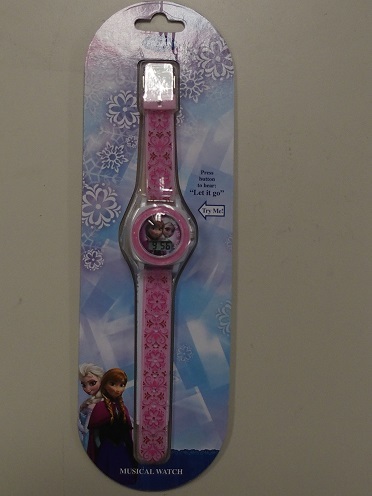 According to DCP’s commissioned tests, the “Disney Frozen Musical Watch,” purchased at Target and distributed by the Accutime Watch Corp., contains 160 ppm of lead in the buckle of the watch and 130 ppm in the prong used to secure it. The buckle and prong were tested separately and elevated levels of lead were found in each component. DCP’s commissioned tests determined that the necklace in the “Princess Expressions Accessory Kit,” purchased at Christmas Tree Shops and manufactured by Almar Sales Co., contained 140 ppm of lead, also exceeding the federal limit. Lead can be a hazardous material to children and adults if it gets into their bodies. Depending on the level and length of exposure, lead can harm a young child's growth, behavior and ability to learn. While exposure to lead can be toxic to everyone, young children are at the greatest risk of developing health problems due to lead poisoning; children under the age of 6 are more likely to get lead poisoning than any other age group. More information about lead poisoning and prevention is available on the New York State Department of Health website here. The “Tough Treadz Auto Carrier,” manufactured for children ages 3 and up, was purchased at Family Dollar in Albany and distributed by the Midwood Brands LLC and Polyfect Toys Co. Ltd. Each toy contains an assortment of die cast metal cars with sharp edges. The sharp edges are in violation of toy safety standards enacted by the federal Consumer Product Safety and Improvement Act of 2008. The Division of Consumer Protection has reached out to the manufacturers and distributors of these products to alert them of its findings and has urged them to cease distribution and sales of the products, voluntarily recall them, and provide a means of redress for consumers who have already purchased them. In addition, Division of Consumer Protection has notified affected retailers of its findings and requested that they remove the products from their shelves and discontinue sales. The Division of Consumer Protection has also provided the U.S. Consumer Product Safety Commission with its laboratory results, and has called for a national recall of the products. The Consumer Product Safety Commission is currently performing its own review. Federal law requires that manufacturers and importers test all toys designed or intended primarily for use by children 12 years of age and younger for compliance with federal children’s product safety standards. The Children’s Product Safety and Recall Effectiveness Act of the New York State General Business Law requires a commercial dealer to contact any person or entity that has purchased a product subject to a recall or warning within 24 hours. The dealer must direct the termination of sales or distribution of the recalled product to any purchasers and provide instructions for how to properly destroy it to the manufacturer. In addition, retailers are required to remove all recalled children’s products from their shelves within 24 hours of receiving a recall or warning notice. For more information and educational tips to keeping individuals, families and children safe this holiday season, visit the Division of Consumer Protection website here or follow the agency on Twitter at @NYSConsumer and Facebook at www.facebook.com/nysconsumer. Thought this sounded a little off last time you heard it? Listen again! Great radio stations like WTRY in Troy played this way back in the 1960s! MIAMI, FL--Local artist Troy Simmons has immersed himself in his latest artwork, exploring the evolution of urbanism and nature’s persistence to coexist. A consistent theme, which echoes true to his intense fascination with nature and modern Brutalist Architecture. - 7th at booth #E75. 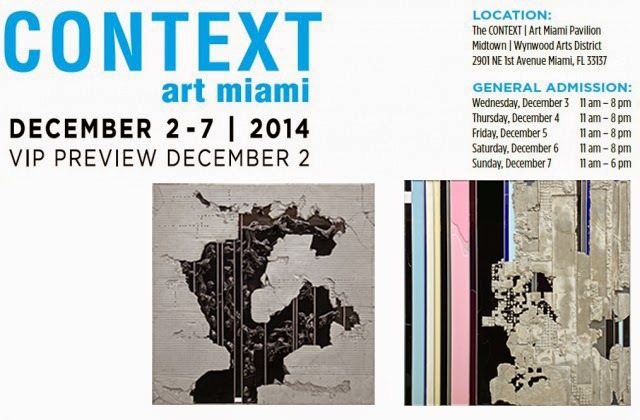 He will also have several pieces on display at SCOPE Art Show Miami Beach. Simmons' massive, large-scale concrete canvases are a mix of acrylic paints and raw materials. At first glance, the magnitude of his work is clearly realized. Most of his pieces weight over 100 pounds. A rough and raw relationship often described as a cataclysmic illustration of urbanism. The inspiration behind his latest collection evolved after a recent trip to Germany. He spent time with his wife’s family exploring Baden-Württemberg in the southern part of the country. The postwar architecture is a fragmentation of Germany’s traditional heritage mixed with simple modern construction. 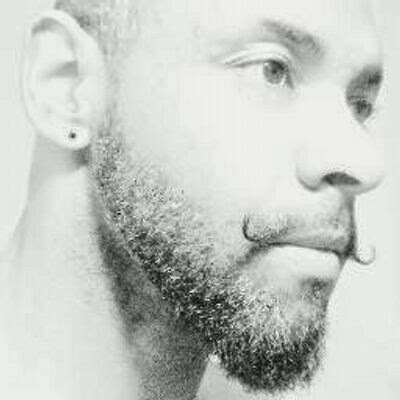 Simmons currently works as a full-time artist, but his educational background is in Architecture and Environmental Science. He studied at Sam Houston State University and worked as an Environmental Lab Technician in Houston, Texas. He later went on to Oklahoma State University and earned a degree in Architectural Design. Simmons is a Resident Artist at the Bakehouse Artist Complex in Miami’s Wynwood Art District. 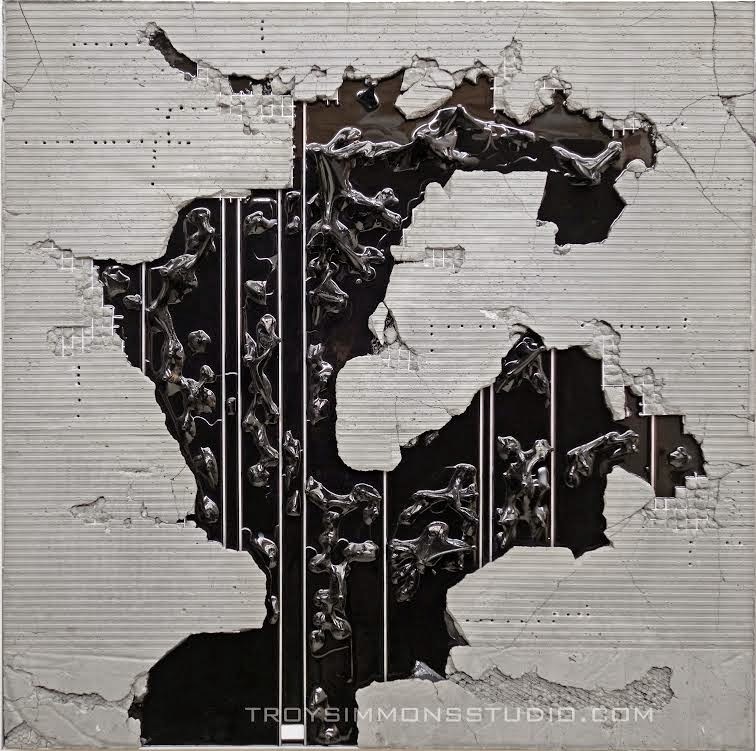 Sample of his current work at www.TroySimmonsStudio.com. Say, doesn't that banner in the photos appearing in the URLs linked below look awfully familiar? Look at the dates! ISIS/ISIL has men, equipment, dedication, determination, a flag and a currency. And John Cantile's wardrobe has gone from black to orange. What could be next? ISIS members have carried the group's black flag since 2006. Watch YouTube Videos That "Won't Play In Your Country"
It's easy to see stuff you're not supposed to. 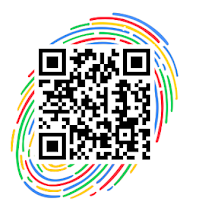 Here's the technojargonese: VPN Gate Academic Experiment Project is an online service as an academic research at Graduate School of University of Tsukuba, Japan. The purpose of this research is to expand the knowledge of "Global Distributed Public VPN Relay Servers". 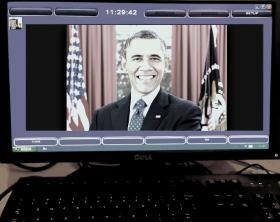 The U.S. President leads the list of guests slated to appear on the network news TV shows on Sunday. Depending on what else happens, your next best-bet-to-watch is NBC's "Meet the Press" where Anthony Gray, attorney for the Michael Brown family, is scheduled to appear. Then there's "Fox News Sunday" with Sen. Ted Cruz, R-Texas on the roster. Check your local listings for times in your area. So many popular tunes sound screwed up because alternate versions or outtakes are posted online. And now: the original version of "Our Lips Are Sealed" by Fun Boy Three - popularized in the USA and promoted on MTV by the great girl group, The Go Go's! Looking for the Fun Boy one you heard on the radio? Here it is! President Obama put forth a plan this week calling on the Federal Communications Commission to adopt strict rules protecting net neutrality. The agency has been working to balance the interests of technology companies who create and transmit information over the Internet with the concerns of cable operators and equipment makers that build and maintain the infrastructure that carries that information. Can you make a quick call to the FCC right now to tell Chairman Wheeler that you demand action for Net Neutrality without delay? Click here to use this great tool to call the FCC—a script of what you can say will be provided. Tech companies, like Google and Netflix, generally oppose proposals that allow broadband companies to charge different rates for faster speeds. 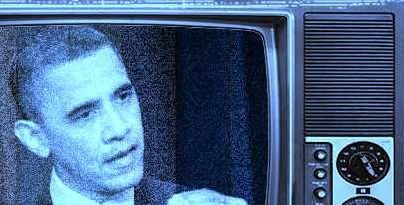 According to a story published on wnyc.org, the president is pushing for rules that would reclassify broadband operators and permit more regulation, bringing them in line with how phone companies have been regulated for decades. That would prevent preferential pricing and eliminate the so-called "fast" and "slow" lanes." According to wired.com, Comcast was recently dubbed the “worst company in America,” by the Consumerist. AT&T is so uncompetitive that it can put the brakes on a 100-city fiber rollout, as it did this week, without feeling much pressure from business rivals. In my opinion, there is a greater force here: freedom of the press, freedom of information, Americans' right to know. If the net here is managed or capped or tamed or whatever, while other nations are "net neutral," will that put the U.S. at a disadvantage? Remember, these "internet providers" are interested only in cash money, not in education, art, liberty or creativity. They are looking for dollars. A decade ago, the FCC said that less regulation would help deliver better consumer internet services, but that hasn’t panned out. Internet service here is slipping. Compared with countries such as Japan, South Korea and the Netherlands, we pay too much for not enough bandwidth. Wired advises folks check out former LA Times Reporter Chris O’Brien’s eye-opening observations on life on the French internet fast lane if you want a taste of how bad things are here in the U.S.
Based on a story by Argentine fiction writer Julio Cortázar (1914-1984), one of the most admired and innovative writers of the 20th century, BLOW-UP won the Palme d’Or at Cannes and received Oscar nominations for Best Director and Best Screenplay. A “mod” fashion photographer believes he has unwittingly captured a murder on film during a photo shoot in a London park. Watch for musical performances by the Yardbirds. ALBANY, NEW YORK- The Albany Institute of History & Art is excited to host internationally known Egyptologist and author Kara Cooney for a special lecture about Hatshepsut, the longest reigning female pharaoh in Ancient Egypt. Kara Cooney is Associate Professor at the Cotsen Institute of Archaeology at UCLA. 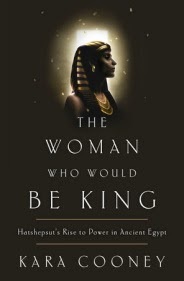 Her new book The Woman Who Would Be King: Hatshepsut’s Rise to Power in Ancient Egypt, draws from the latest field research to fill in the gaps of what we know about the famous pharaoh and explore the obstacles that faced women who sought power and prestige in a society that equated authority with masculinity. Cooney will be available to sign copies of the book, which will be available for purchase. This lecture and book signing will take place on Sunday, November 16 at 2PM. It is open to the public and free with museum admission. Dr. Cooney is a well-known Egyptologist and the Assistant Professor of Egyptian Art and Architecture at UCLA. She received her PhD for Near Eastern Studies in 2002 from Johns Hopkins University. Some of her excavation experience includes projects in Deir el Medina in Egypt, Dahshur, and several tombs at Thebes. In 2005, she was a curator for Tutankhamun and the Golden Age of the Pharaohs at the Los Angeles County Museum of Art. Cooney has also been on Discovery Channel documentaries including: Out of Egypt and Egypt’s Lost Queen. Music reflects culture, community and politics. Imagine if you could go back in time and sit around the campfire with Native Americans, hear their stories, hear their music. Or travel to ancient Egypt and find poets and musicians of that time, experience their art... Thanks to the internet, modern music from streets and villages and forests all over the world are online, waiting for you to sample. There are so many great talents I may never have known, had it not been for the computer. Folks like Young Lye, Yarah Bravo, DJ Vadim, Pugs Atomz, and... Shamon Cassette from dear old Brooklyn. Way back in the 1960s regional top 40 hits were the norm. In Albany, NY there were #1's by groups like The Myddle Class ("Free As The Wind" and "Don't Let Me Sleep Too Long") , The Knickerbockers (all their 45s before "Lies"), The Gray Things ("Charity"), Tim Rose ("Hey Joe" - the version Jimi Hendrix covered) and David McCallum ("Communication" #1 in Albany, #117 nationally), Fever Tree: singles* that didn't always chart nationally. Local 5-thousand watt WTRY and pd Lee Gray (Did that sink in yet, CBS6?) had incredible hitmaking (and breaking) power. For some reason, WTRY didn't like and didn't play the Lovin' Spoonful's first national hit. 980 avoided The Gentrys and Moby Grape as well. In other parts of the USA - there were top 10 artists we never heard of on the east coast. Cole's IGA market on Ontario Street used to carry KRLA's "The Beat" weekly music newspaper - (why they sold it, I don't know... someone said Mrs. Cole's son traveled back and forth to L.A.)- my first introduction to one of San Francisco's biggest acts was the group's name mentioned on the top 10 list: "4. Come Up The Years ~ Jefferson Airplane"
From Airplane to Astronauts: the nauts' first single on RCA was "Baja", an instrumental written by Lee Hazlewood originally for his friend, guitarist Al Casey. [wikipedia] Released in early 1963, the track was described as "a typical surf instrumental with a reverberation-heavy twangy guitar and driving drumbeat", and reached # 94 on the Billboard Hot 100 for just one week... Their 1965 song "Tomorrow's Gonna Be Another Day was covered by The Monkees in 1966. [cheynj-ling] (in folklore) an ugly, stupid, or strange child left by fairies in place of a pretty, charming child. So here I sit, at the computer, in early November, as the leaves fall and the colder New York weather begins. Maybe things will be like they used to: maybe the art of blogging will get a little bounce from the Northern Hemisphere winter. I look at all the posts I have written. I look at the blog layout. I got it to the place (after so many years) and the ideal design. I'm not going to change it again. That bleak minimalist look so many blogs have taken on isn't going to last, in my opinion. Besides, if you look at this blog on mobile, it's minimalist, thanks to blogger (and I believe that's GREAT for those who want to read a post on their phone). In the past, writing a blog post was in many ways like writing a letter to a friend. The network of bloggers was more interactive in the mid 2000s. But there is hope! You know I'm not a big facebook-er myself, although early on I realized its importance (that's why I installed fb comments on the blog), so now I have joined a fb group called "Media Bloggers" - and it feels good to have that interactivity again. Certainly twitter and WeChat are interactive, but not exactly like blogging... If you scroll and look at my sidebars you may see some remnants from blogging's past... all good stuff... so tell me, what are YOU up to? If you're a blogger (or if you once blogged) how do YOU view the way blogging has changed? Or has it really changed at all? Is it just me feeling this way? But then again, getting cozy with the keyboard tonight feels good. I miss some of the old things like guest-posting and Entrecard. But the old adage "nothing stays the same" must certainly apply. Only thing wrong with this song is that it ends. ☊ Make sure you listen with a good pair of headphones! New York Senator Kirsten Gillibrand is the author of "Off the Sidelines: Raise Your Voice, Change the World" (2014). Prior to being appointed to the Senate in 2009, she was elected twice to the House of Representatives, representing New York's 20th congressional district. I first met her in person at a news conference at St. Peter's Hospital in Albany. I'm a fairly good judge of character, IMHO, and let me tell you I was picking up wonderful vibes and saw a halo of excitement and opportunity surrounding her, which certainly played out, thanks in a big way to the king of serendipity, Governor David Paterson. Gillibrans is best known for championing both the repeal of Don't Ask, Don't Tell and the adoption of the James Zadroga 9/11 Health and Compensation Act. In 2014, Gillibrand was named one of the Time 100. Jessica ::: To kick the month off, I’ve teamed up with the wonderful people at The Five Minute Journal to give away a copy of what has quickly become my very favourite gratitude journal and goal-setting tool ever! You can read all about the Five Minute Journal here but suffice it to say that after two months of using this journal in the morning and evening, I feel like a million dollars and I know you will, too! Simply choose your favourite way of entering by visiting my blog and hang tight to find out if you’ve won!